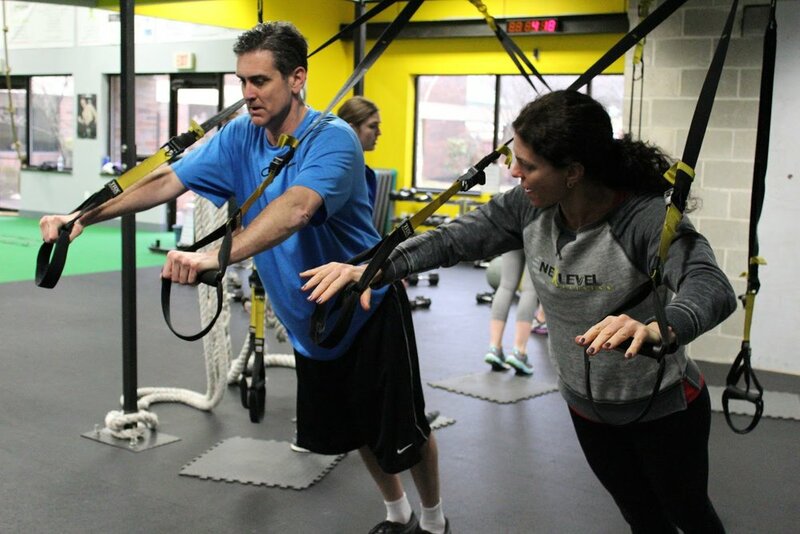 We are proud to call Nex Level Fitness one of the area's first Functional Training Centers offering a wide variety of Group Fitness Classes, Personal Training and Athletic Training. All the Trainers & Instructors at Nex Level work hard to promote a Family-Friendly and Healthy Atmosphere for everyone! With one visit to Nex Level, you'll quickly notice that other gyms sell "memberships" and we sell RESULTS! Hit the training floor with one of our trainers for a workout that will challenge your strength, endurance, and stamina with a high intensity approach to varied functional movements. With over 30 classes a week to chose from, you will always find a class that will cater to your fitness goals. Whether your in Power Step, Muscle Mix, HIIT Havoc, Tabata, Barre, Yoga or Pilates you are guaranteed an awesome total body workout! Our cycling instructors will lead you through a series of climbs, descents and sprints all to the rhythm of the music to get you lost in the moment and push yourself to a level you didn't think possible! Increase your strength, balance and flexibility. Quite your mind while lengthening and strengthening your entire core. Work one-on-one with a trainer during a time slot that fits your schedule. Learn proper form, be held accountable, and be pushed toward achieving your fitness goals & set new ones! Our experienced and dedicated trainers are eager to facilitate athletic growth. Nex Level is proud to have trained star athletes and teams in the area for the past 4 years.